Is the facility (building, theatre, stadium, etc.) accessible to a person who uses a wheelchair? Have you included the international access logo shown below at the bottom right hand corner of your advertisement? If the main entrance is not accessible, is signage showing alternative access available? Have you ensured that paths to the elevator on each floor are clear of obstructions and/or obstacles that would limit access by persons in a wheelchair? Are there men’s and women’s restrooms close to the meeting area? Are there signs indicating location of elevators on each floor? Are spaces marked with the handicapped parking symbol? To request a sign language interpreter for your on-campus event (at least 5 days in advance), please contact your assigned planner in the University Events department to discuss availability and associated fees. If the event is over 1-hour, two interpreters will likely be required to team translate. 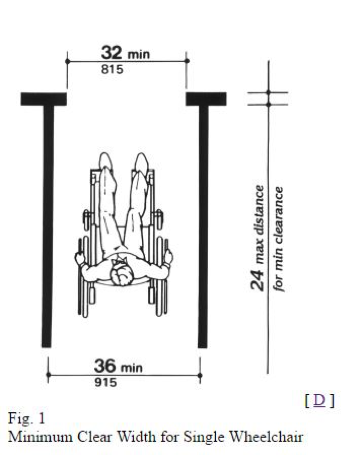 If slides or overheads are used, will there be an alternative light source (i.e. spotlight) so that the interpreter will remain visible? Is there an appropriate backdrop? Visually distracting patters and backlighting must be avoided. Have you provided space for the interpreter (s) on the stage next to the speaker, as well as extra seating, if necessary, as near to the presenter as possible? If you receive a request for an assistive device not covered above, or that you are unsure about, your assigned event planner can assist in determining what is available within your selected venue and/or work to gain access to the required equipment. Have you arranged for handouts, surveys, program, etc. to be put in alternative formats? In most cases, a request for alternative format of printed material, whether for brochures, pamphlets, or event announcements, requires that a text-only electronic version of the publication or announcement be made available. Individuals can then access the information through screen reading software, or by modifying the font size, color, etc. of the printed text. For assistance with the creation of documents in alternative formats, contact your assigned planner to discuss options and associated fees. If materials/forms are to be filled out at the event, are there readers and/or scribes available to assist? Are you aware the blind people sometimes use a guide dog and that the guide dogs must be allowed into the function? Have you arranged for handouts, surveys, programs, etc., to be put in alternative formats? If materials/forms are to be filled out at the event, are readers and/or scribes available? 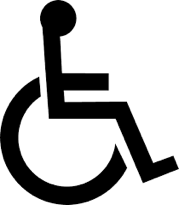 The wheelchair symbol should only be used to indicate access for individuals with limited mobility, including wheelchairs users. For example, the symbol is used to indicate an accessible entrance, bathroom or telephone that is lowered for a wheelchair user. Any language accompanying these symbols should focus on the accommodation or service, not on the individual who uses it. For example, “Ramped Entrance” may accompany the wheelchair symbol. This is important not only for individuals who use wheelchairs, but also for people with baby carriages, luggage, etc. Symbol to indicate sign language interpretation is available.